Like many of you, I am continually striving to improve my on-stream carry system and I feel like I make small increments of progress with every iteration. 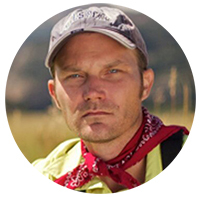 For years, I’ve been carrying a Fishpond San Juan chest pack and it’s served me well. 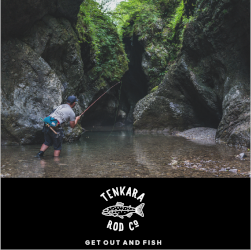 Every so often, I browse sites like eBay, Amazon, and Etsy, searching “tenkara” just to see if there’s any interesting tenkara gear outside of the mainstream. 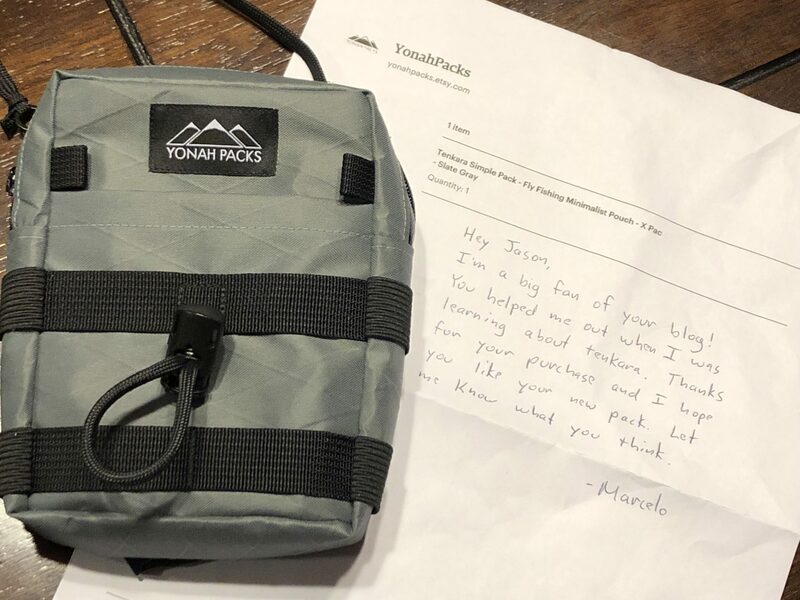 A few days ago, I stumbled upon The Etsy store YonahPacks and was immediately impressed with their Tenkara Simple chest pack. It reminded me of a minimalist ultralight pack I designed and sold back in 2010 called the Trico Ultralight Pack. 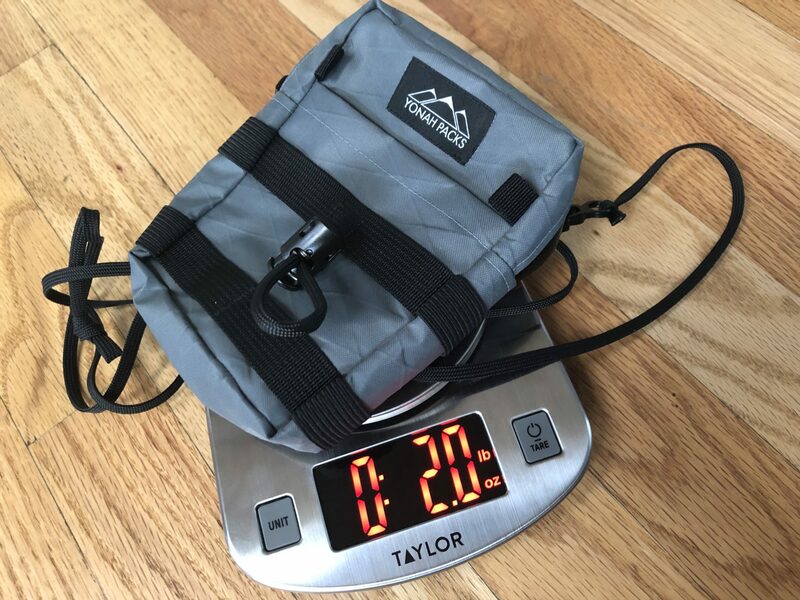 This pack didn’t have as many bells and whistles as my design, but was a little roomier and seemed to have all the features I wanted, while being less bulky than my San Juan, so I decided to order one. And I’m glad I did. This is my new chest pack. Right out of the box, it felt like an old friend. All the pockets and straps were right where I expected them to be. And loading it up was so intuitive, I probably could have done it blindfolded. 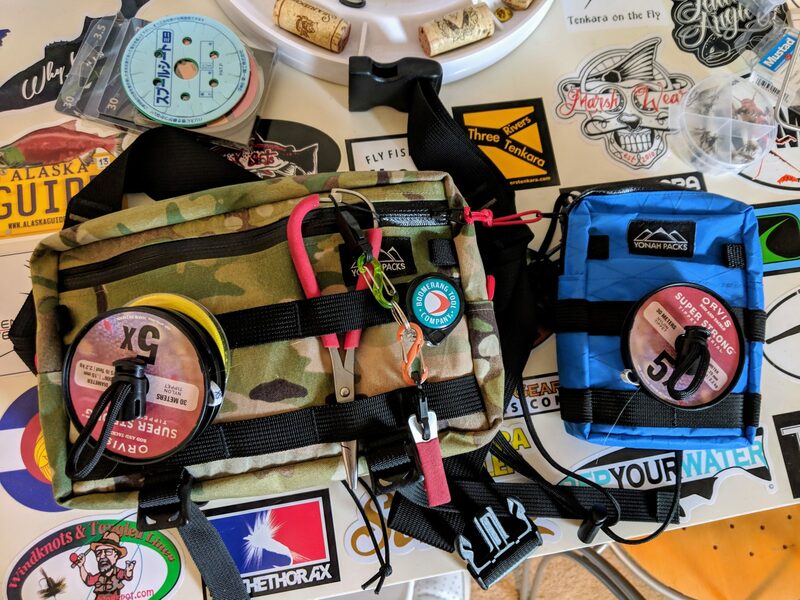 Even before ever taking it on the water, I knew I had just gotten a pack that I would have designed myself–right down to the very last detail. 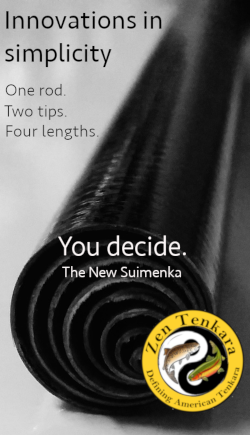 The Tenkara Simple pack is made of extremely durable X-Pac, which is a ripstop spinnaker sailcloth designed to be tear and abrasion resistant, while still being lightweight. At 2.0 oz. 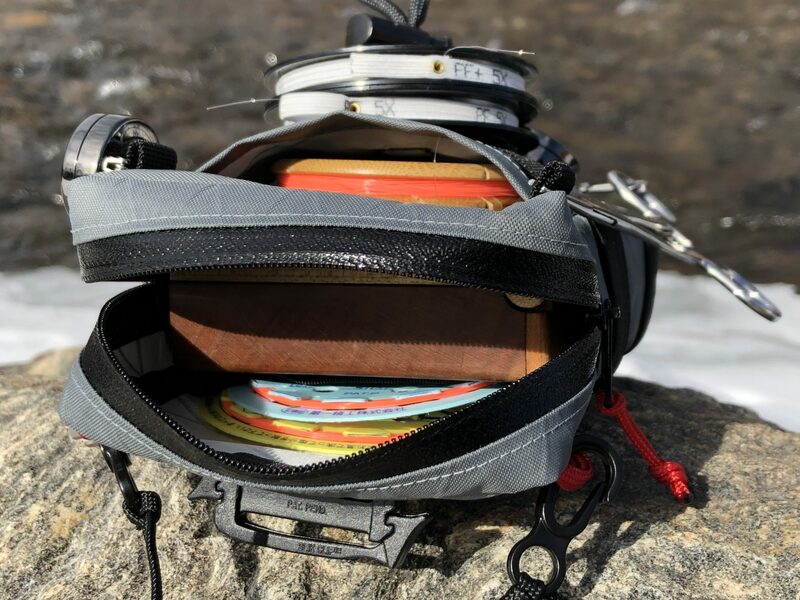 on the nose, I think this would meet anyone’s definition of a truly “ultralight” pack. 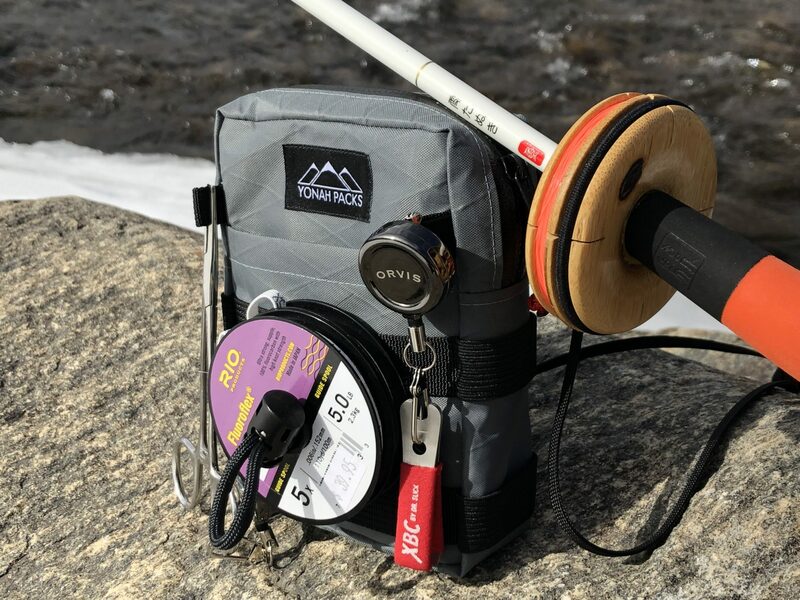 The front features two daisy chains for attaching tools, and a smart tippet holder, exactly like my DIY tippet spool holder design. 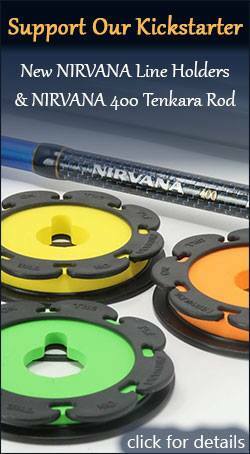 It will comfortably hold 3 tippet spools and keep them easily accessible, yet out of the way. There is one main compartment with a waterproof zipper that will hold one large fly box or two smaller ones and slim internal pocket. 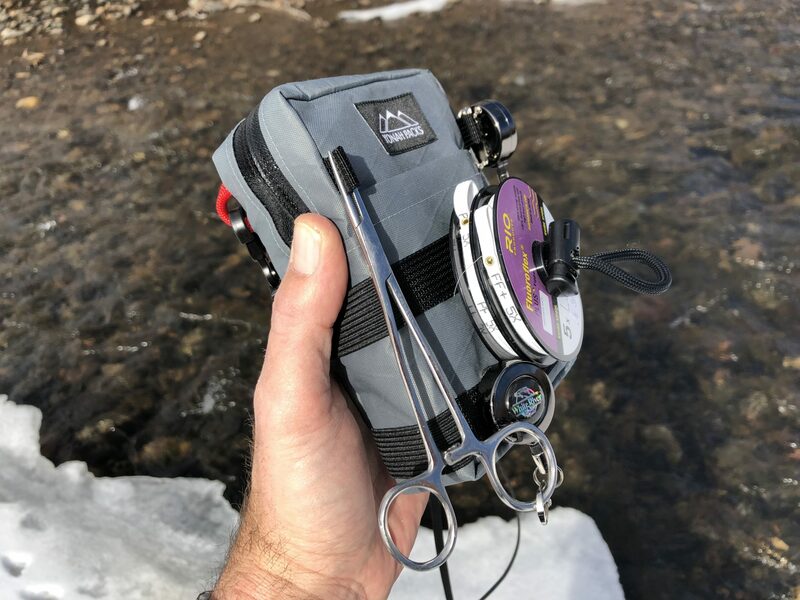 I keep my fly box and an extra line spool in the main compartment and two line cards with extra flurocarbon level line and my thermometer in the internal pocket. 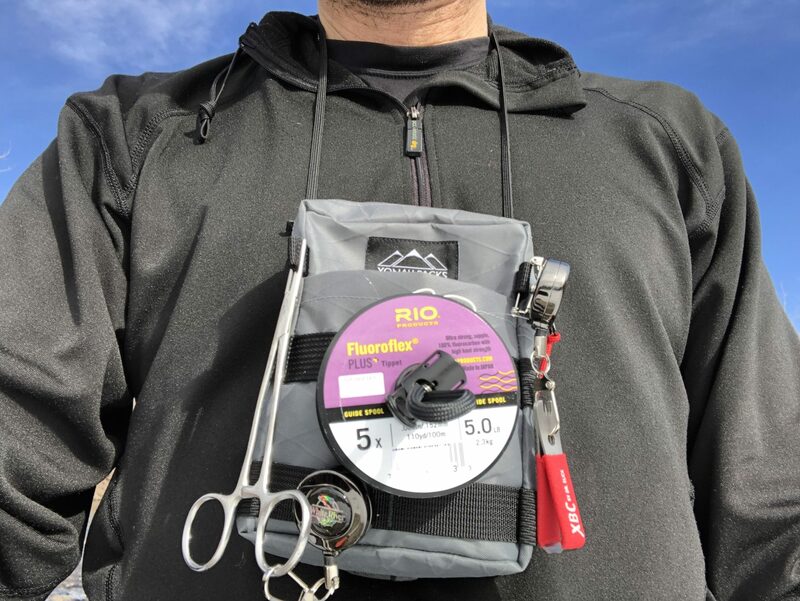 There’s also an external pocket behind the tippet holder that fits my wooden line spool (or a standard Meiho spool) perfectly. 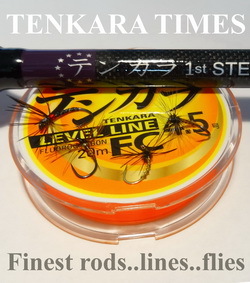 The sides of the pack have elastic straps purportedly to hold a tenkara rod (but I don’t use them this way) and small webbing attachments for zingers or other sundries. I carry my hemostats on the right side (I’m right handed) and my line cutters on the other–both attached with zingers. 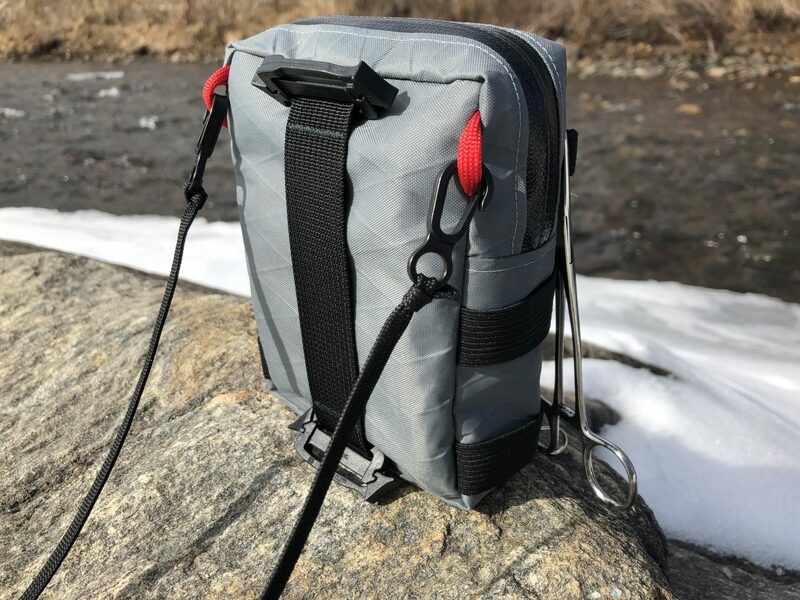 My preferred way to wear this pack is around my neck with the included neck strap, but on the back, you’ll find a webbing belt loop and buckles for backpack straps, giving you multiple carry options. Sometimes, when I do a gear review, I include a “what I like/what I’d change” section. But honestly, even at my most nitpickiest, I can’t come up with one bullet point to put under a “what I’d change” heading. This pack epitomizes simplicity and function. It really has everything I want without the superfluous “features” found on so many other packs. 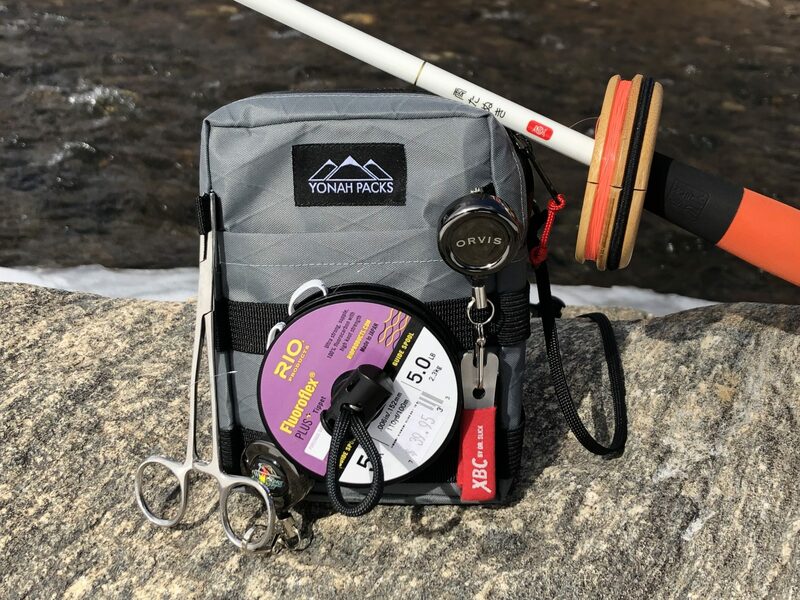 In its construction, layout, and feature set, you can tell this pack was designed by an actual tenkara angler. 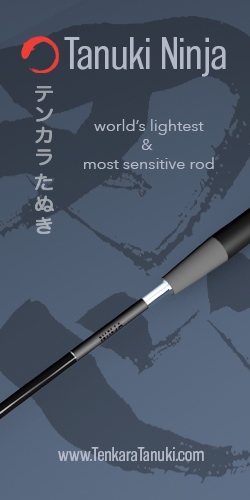 The Tenkara Simple pack is much lighter and far less bulky than my San Juan and this is the one you’ll see me with if we bump into each other on the stream. For specs, colors, pricing, and more information, visit the YonahPacks Etsy page. how little we need for fishing. On our forum they also talk about it. Oh man, I forgot about the little pack you designed… that was a walk down memory lane! Have to agree with you, the Yonah packs are excellent. I’m happy you think so and am certain you’ll get plenty of great use from yours. The thing I was happiest about is that they were extremely well made, not a stitch out of place. I’ve picked up both the simple pack and the larger sling pack over the past year and have been very happy. 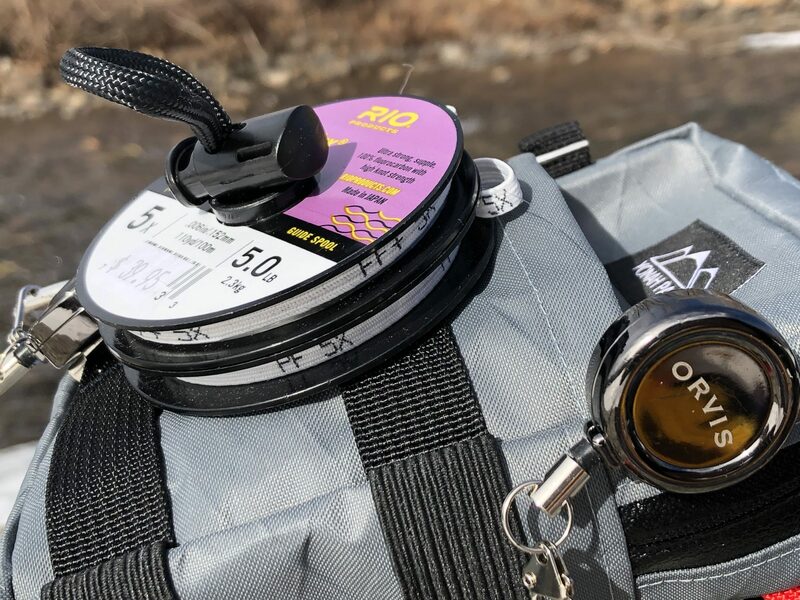 The simple, for a quick hour or two on the water, and the sling is ideal for a half day, (or full day if you don’t need to bring a rain jacket or food along). 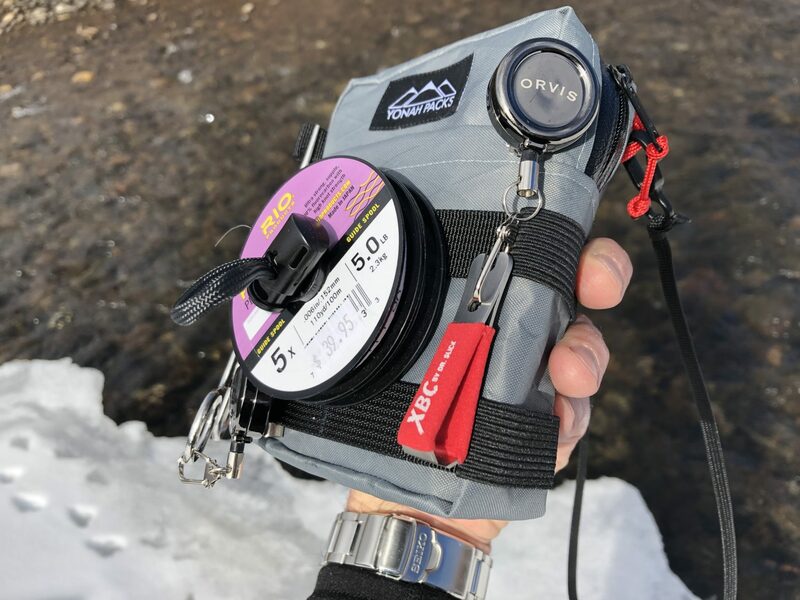 I saw these posted on Reddit over a year ago but already had a ZimmerBuilt Tenkara Strap Pack that I liked a lot and was not sure if these would be an upgrade for me. Finally got one the other day, while the ZimmerBuilt was great the Yonah Pack is pretty awesome. I love both, but for different reasons. The Yonah holds just a little more so that’s why it’s my EDC now. The strap pack is hyper-minimalist and is great for UL backpacking trips. But you can’t go wrong with either pack in my opinion. I’ve had the Yonah pack for a couple of years now. For short outings I prefer the Vedavoo sling pack (room for jacket, water, snack), but anytime I’m wearing a backpack I love the Yonah. Clipped into the packs shoulder straps on each side and it stays nice and tight to the body even when leaning over or scrambling around. This is another product I’ve purchased after reading your review. I’m excited to keep this in my truck for quick outings. I’m really enjoying the site and working through the old post.